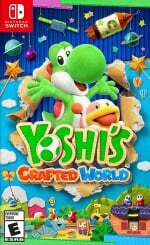 Japanese chart figures are now in for 1st - 7th April, revealing that Super Dragon Ball Heroes: World Mission has knocked Yoshi's Crafted World off top position. 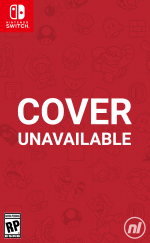 The game debuted with an estimated 70,990 sales on Switch, which is comfortably higher than the figure Yoshi achieved in its debut last week. As you may already be aware, Media Create - the company which usually provides our Japanese chart figures - has changed the way in which it operates. The figures below are from Famitsu which, while seen as being slightly less accurate than Media Create's data, should provide us with estimates of sales going foward. As such, you'll likely notice some slightly odd differences between the figures below and those which we shared last week. Any surprises this week? Let us know in the comments. How did Woolley world sell over there? Are those yoshi sales low? I really don’t know. Expecting high sales from spring onwards as there are a huge amount of releases coming up. Is that Super Mario Party lifetime figure correct? I thought it had already passed 1m in Japan? And so Smash ticks over the 3m mark. How many will it end up selling by the time the Switch is done? 4m? 5m? @BigBluePanda It might have on Media Create but not these charts. These charts also had PS4 not breaking 8 million yet as well. At least as of last week. Seems like Switch sales is now dropping again. Hopefully those rumors of the upcoming cheaper and more powerful Switch models are true cause it seems like most of the Japanese consumers are waiting for those now. If Nintendo wants sales to climb again they better announce something soon, either it's true or it's not. My guess is that Japanese gamers are planning to move on to PlayStation 5 soon too so that would explain the low PS4 sales now. I doubt rumors really impact the purchase behavior of the general mass market. Switch sales are declining because early April is always a weaker month than March. The Switch is being pretty terrifying right now. At least Sekiro gets some time in the light, even if it is dropping quite fast now. Meh, the PS4 has dropped a considerably higher percentage than the Switch. It's just not a busy month in general. Super Dragon Ball Heroes is a pretty good card game. Definitely a must-have for DB fans. Always nice to see third party games succeed on Switch. Dragon Ball Heroes, looks like poop a bunch, like a really sloppy conversion from the arcades. Sounds like a straight rip from arcade machines, etc, etc, has images in it that look like "unlinked" jpegs and is 60 bucks. I love playing it tho! Super fun if you're a DB fan. Mixed feelings about it selling that well when it feels kind of low effort and that we're paying 60 to offset it not releasing on other platforms outside of PC. Like a classic $30-$40 release. But if you like DB and strat stuff with quicktime events, it's worth it! What?! Switch sales are in fact higher compared to last year. I'm always fascinated seeing how few Xbox systems sell in Japan. @MrBlacky I'm not comparing it to sales numbers of last year, I'm just speculating that ever since the rumor of two Switch models coming soon that current Switch numbers are declining. It's not a bad thing and probably may just be a slow sales period now but it does seem to match up with my speculation. Let's see if the rumor Nintendo Direct would help build things up. 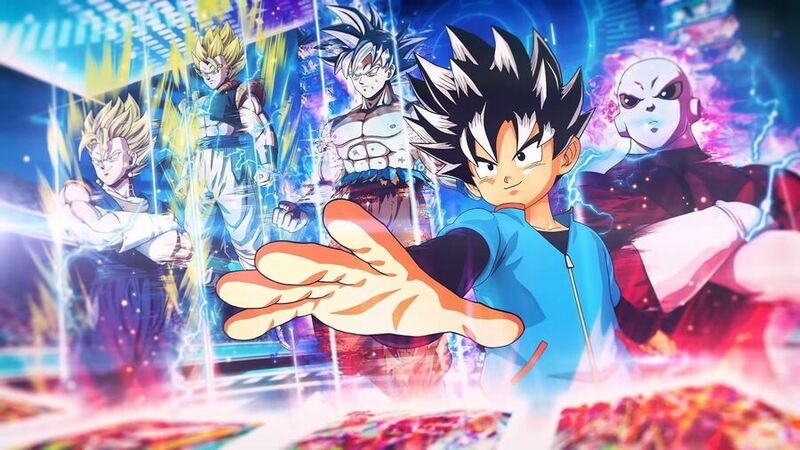 To those who have purchased Dragon Ball Heroes, is it worth the $60 bucks? It looks fun and I want it but I am not sure if I should wait and just play something free like Warhammer on the 16th. A third party success, this one’s for you @Agramonte! @MJInnocent Yeah man, and full ￥6,145 price also!. Card games Not my thing, but still good to see! @Agramonte there’s that smile I wanted to see! @retro_player_22 It's likely dropping because there's nothing special coming to Switch until June. My comment would contribute nothing. Something about me wanting new switch and wife getting old pikachu one. Sorry everyone. @FrowningCoach You’ve let us all down, just like we let you down at that last game. I'm glad Dragon Ball's doing well. That game is pretty lit from what I've played so far. Must better than the sadly-disappointing-but-beautiful Yoshi game. You guys could pay to still get the Media Creates sales charts right? @MJInnocent yep but it’s not a western third party so it doesn’t count. @retro_player_22 question is, are those rumours circulating in Japan? Plus the Japanese aren’t as obsessed with power as western gamers, you just have to look at the poor sales of big western games over there. A cheaper model I could see them getting behind, power? Nah. Look at Xbox One X and PS4 Pro sales in Japan. I heard dragon ball keeps getting good games. Why not good jojo games? It should be New 3DS XL, right ?? And what happen with New 3DS XL sales ? Not sure what other big 3rd party are on tap for Switch in Japan (DQ will be a hit)... hoping SEGA announces Sakura Wars in the next direct. And Ys Monstrum also. @Anri02 We got the job done. Only had to mention "do your job" 10kx times. 9 out of 10 games in the top 10 are Switch games!!! @Tantani MK11 isn't being released in Japan. Very nice! I see Switch is very popular. I'm glad I stayed on Switch. And SDBH is good too, I play it everyday and I enjoy it very much. Wow yoshi is really struggling. @Aozz101x Japan of all places have issues with excessively violent? Weird, did it happened with previous titles? @Tantani first time I've ever heard of them doing this.